You just have to be patient I have less money into my lift, coils and driveshaft then the price of a brand new lift because I bought used. Last edited by Mikerider; 05-02-2012 at 10:54 AM. Tempting but no I like my EXPENSIVE tires lol. 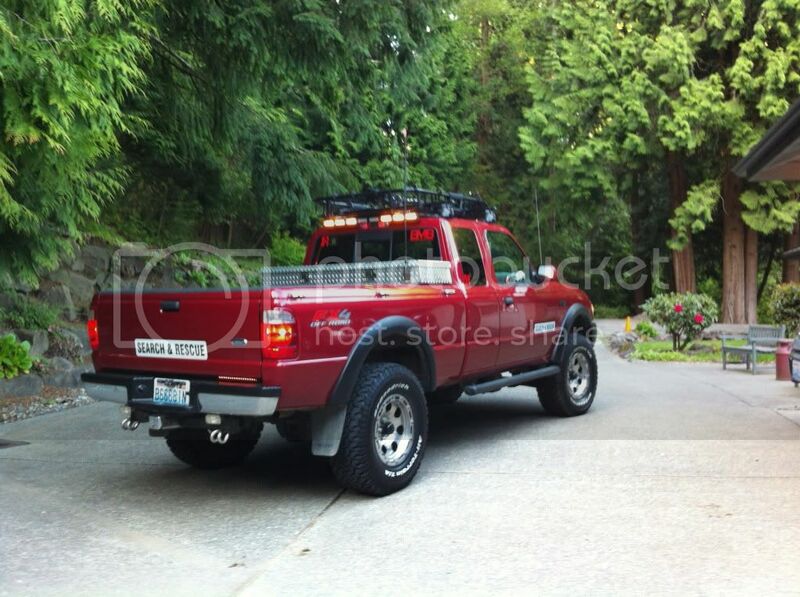 pics of the truck in Search mode with the new light bar and the magnets in place. 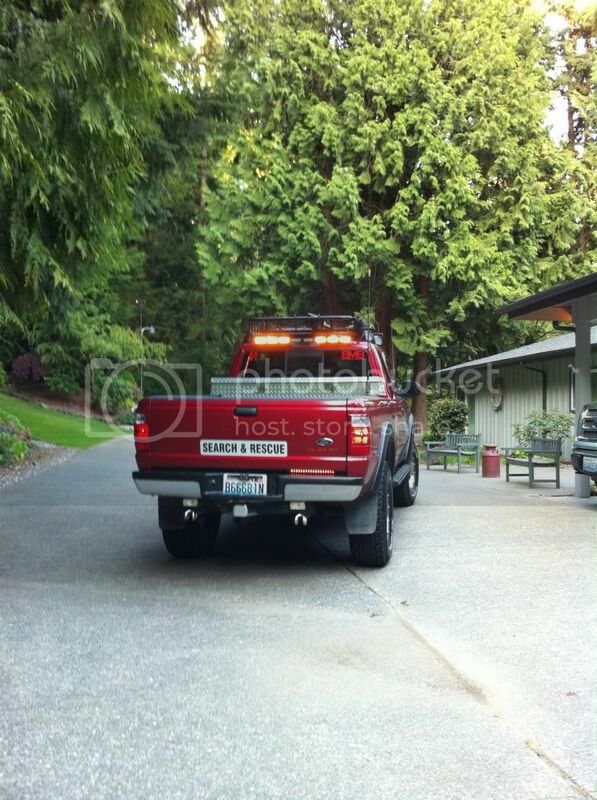 Whats with the S&R decal on the tailgate? Looks good! But this thread needs more PICS!!!!!!! 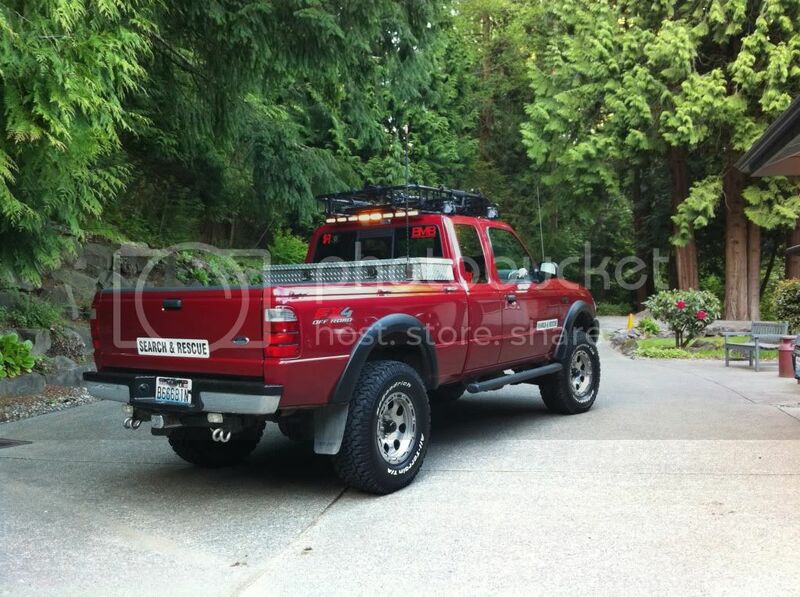 Truck looks AWESOME man! Where in Renton are you? My parents live in Fairwood, and i grew up in Kennydale!